No visit to Aveiro, Portugal, would be complete without taking the time to explore the expansive lagoon and canals that weave their way around and through the city. There is something about a city set amongst water that adds a certain charm and magic, and Aveiro is no exception. Indeed, Aveiro has been hailed as the Venice of Portugal for its pretty maritime setting. 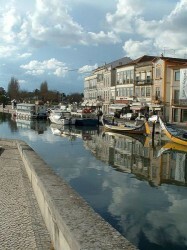 Aveiro canals criss-cross the centre, radiating from Praça Humberto Delgado in the very heart of the city and stretching out to the Atlantic Ocean waiting beyond. 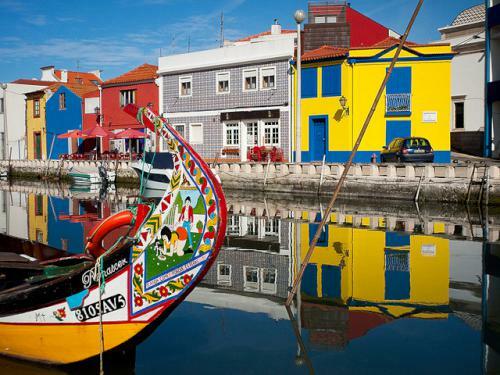 Aveiro canals and the lagoon have been the centre of its industry and economy for hundreds of years, and simply taking the time to wander along their banks is like taking a journey through history. Lined with a mixture of grand buildings and former fishermen’s houses, the canals are a festival of colour, with brightly coloured paintwork and attractive ‘azulejo’ panels for which Portugal is renowned. However, it is the bobbing fishing boats, or ‘moliceiros’ as they are known locally, which really bring the Aveiro canals to life. Moliceiros were traditionally used to harvest seaweed, although they are more commonly used these days for tourist activity, and hopping in one to take a tour round the city from the water’s perspective is the perfect way of whiling away an hour or two during your stay. 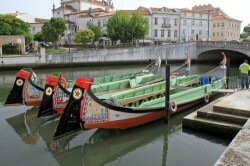 There are in fact many different styles of boat which are used to navigate the waters surrounding Aveiro, but the moliceiros are the most popular and are best associated with the city. The moliceiros are shaped long and narrow, with a styled bow and stern which are often highly decorated, with ornate images demonstrating tongue-in-cheek humour about everyday situations. They are usually made of pine and around 15 metres long and some two-and-a-half metres wide, with a covered forecastle. 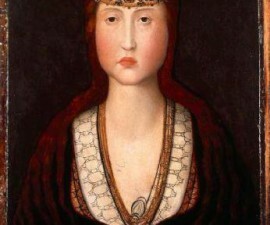 They are propelled by the use of a long stick or, on the narrower canals, via a towpath cable. 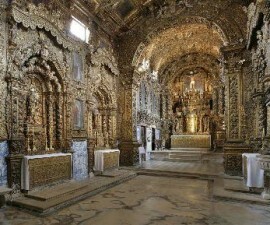 The ornate decoration of the moliceiros is at odds with the workaday usage for which they were originally designed. Despite their sumptuous looks, they were once the vessel of choice for harvesting seaweed from the lagoon waters surrounding the city. 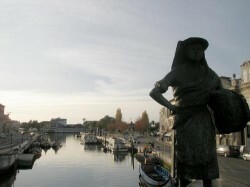 The seaweed was the main source of fertiliser for use on the farmland that surrounded the city, ensuring that it played a vital rule in Aveiro’s agricultural economy. The low-edged design was perfect for gathering seaweed and the long, shallow body was ideal for navigating through low waters. 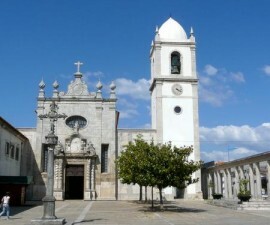 There are many moliceiro tours to choose from, of similar price and quality. Try taking a tour at the end of the day so you can admire the sunset over the waters and leave with lasting good memories of your stay.